Two years ago I figured out that a severe gluten intolerance was the culprit of my ill health (as a side note, I’m still awaiting determination if it’s Celiac Disease). By strictly modifying my diet, my ill health improved drastically. Just over a year ago I suffered a mental breakdown and began treatment for clinical depression. Again, huge results in my mental and physical health after I started on a low dose anti-depressant. Now, Cancer is on the forefront of my list of health concerns that I need to keep an eye out for. Warning: This is a bit of a long story. Remember the kids’ story “Alexander and the Terrible, Horrible, No Good, Very Bad Day“? The particular day in question wasn’t quite as bad as that … but it was the start of the terrible, horrible, no good, very bad week. I woke up the last Monday of March and it was just one of those days. It was one of those days where I just feel like all I want to do is sit down and cry and there was absolutely nothing that I could think of that had set it off. Once upon a time it was a regular occurrence. Now, it only happens from time to time. I’m not sure what exactly it is that spurs it on … it could be that my anti-depressants were taken too close together or too far apart. Perhaps it was related to my monthly cycle. Who knows what triggered it. I just knew that if I got up and carried on that it would likely pass at some point throughout the day and if not, my mood/state would be reset the following day after waking up after a long nights sleep. Later on that day I had a message from my mom saying that my dad had went for an ultrasound and something had shown up. The next day, he returned for a CT scan and the results indicated that most likely one of the polyps in his stomach had turned cancerous. This was not 100% entirely unexpected. My father has a condition called Attenuated Familial Adenomatous Polyposis (AFAP). 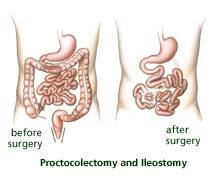 If left untreated, growths (called polyps) can form in the colon and turn cancerous over time. A regular colonoscopy can check for these growths and if present, they can be removed at that time. My father had his first polyp show up at the age of 40. By the time that he had turned 50 the number had multiplied so rapidly that there were hundreds of polyps in his large intestine – too many to “burn off”. As a preventative measure, he had all but a few inches of his large intestine removed. The following year polyps began forming in his stomach. And similarly, they multiplied to the hundreds. At first there were talks about removing his entire stomach, connecting his esophagus to his small intestine, a process referred to as a gastrectomy . But it would be such a huge impact to his body considering that there was only a few inches left to his large intestine, and in his particular case they expected him to be on a liquid diet and probably have to use a feeding tube. They decided to monitor at 6 month intervals with the intent that they would be able to do the surgery the minute (figuratively, that is) that the polyps started to turn. He was due to go back in a few weeks for his 6 month “inspection” but over the Fall he wasn’t feeling well, having a lot of pain, and that past week he was starting to get nauseated, in addition to the other new symptoms that he was experiencing. That’s when they put him on the fast track for the ultrasound and CT scan. I ended up calling in to work that Wednesday and said that I wouldn’t be in. I had a lot to process. My first thoughts were just getting him through his surgery and treatments. Then I started to think about what was to come next. I thought about how his life would be affected by no longer having a stomach (I suspect I inherited my ‘foodie’ personality from him). And then it occurred to me that if I ever do get my restaurant idea off of the ground, that my dad would not be able to enjoy the food that is prepared there. And it made me sad. My dad has always been super proud of my accomplishments and I would hate for him not to experience it in its entirety. And then my thoughts started to shift from my dad … to my eventual fate. I, like my dad, am gene positive for AFAP. I’ve known that I’ve had the condition since I was little, due to genetic testing. Screening for polyps started for me while I was still in high school. My dad didn’t get his first polyp until he was 40. By age 50, he had the majority of his large intestine removed. I had my first polyp at age 26. The next year I had my first polyp in my stomach. So I worry, if it progresses at the same rate as my father, will I be looking at the removal of my large intestine by age 36? Or, like with his stomach, could the polyps in my stomach multiple so quickly that I have to deal with cancer and/or have my stomach removed before I hit 40? It was a lot to take in. This blog has been a component of that dream and I’ve been having so much fun doing it. My blog and dream restaurant is my passion right now. It’s what drives me. It’s funny. That Monday morning when I woke (before any light had been shed on the extent of the worsening of my dad’s health), I had read an interesting post on Offbeat Home, “I caught that dream that I was chasing. Now what?“. I could relate to the post because: 1) the writer deals with “Imposter Syndrome” and 2) I’ve also been wondering that exact same question. Despite waking up that morning feeling bad from the start, this post was just what I needed to make my bad day feel a little brighter. I felt encouraged that morning to continue after my dream. Despite reading that post and feeling better about my bad day, after receiving the news of my father’s predicament, it fast-tracked my future-fears of battling cancer myself. In addition to that, I started to worry about what would happen if I had to have my stomach removed. Would I even want to continue to develop this blog and/or my restaurant dream if I were unable to partake in the pleasures of food? Or, if I did achieve my dream restaurant, would I come to resent it?? I thought about how we love to entertain and its always based on food. True to Newfoundlander form, we’ve always been known for our “kitchen parties”. For this reason, our new home is being designed with our kitchen as our focal point of the house. It’s where we will spend the majority of our time. What if I start to despise those kitchen parties because I would feel out of place because I can’t enjoy dining with my friends? This was a lot to digest for one day. I felt lost and I felt like I should give up on my dream rather than face the possibility of my dreams eventually being crushed. I had an overwhelming feeling of “what’s even the point?“. Then I received an email response to a previous request to do a guest post on my blog. They said that they wanted to do a post on Celiac Disease and Depression, and that they had found my blog by doing a Google search. I think it was what I needed to snap me back out of the funk that I had found myself in. I started this blog as a means to help others through sharing my experiences. 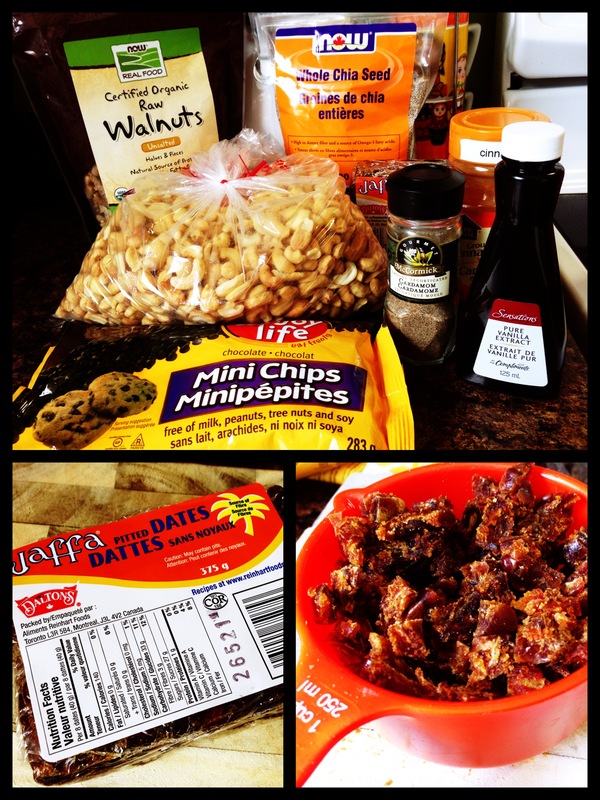 By labelling my blog “Food Allergies Etcetera”, the etcetera portion has allowed me to delve into the topic of mental health. And I’ve gotten a lot of positive feedback from people who have read my posts related to mental illness because they could truly identify with what I had experienced, and they found that they now had someone else who knew what they were personally experiencing. So what, if at some point I may not be able to enjoy food and share in foodie experiences. Perhaps this blog will morph into something else that is useful to others … perhaps it will serve as a connection point for others with AFAP/FAP, or perhaps it will be a vessel to share my future story of cancer prevention and/or survival. On the first Friday of April (funny how April just happens to be cancer awareness month), my dad received confirmation that, since his last 6 month inspection, he had cancer in his stomach. His GI surgeon advised that he would not be doing the gastrectomy at this time and that chemo was the better treatment option. A referral was made to see an oncologist, to discuss chemo. Things have moved very fast and it’s already been just under three weeks since he started treatment and he is doing well with it. Other than being fatigued, he’s not felt sick, has no pain, has stopped losing weight, has regained his appetite and is able to enjoy food just as he always has. And best of all, he still has a full head of thick hair that any 58 year old would be envious of 😉. Hopefully this is an indication of the effectiveness of the treatment! It’s been a month since that horrible, no good, very bad day … but since then, I’ve stumbled across this article about a young woman in her 20s who decided to have a gastrectomy, and it was quite positive. I also found the No Stomach For Cancer website which has a lot of valuable information, including this overview of a Gastrectomy (You’ll find a lot of useful info related to life during and after a gastrectomy. Just hover over “Gastric Cancer” at the top menu, then hover over “Life Without a Stomach” and you’ll find 4 subpages). In addition to this, I was connected with someone (who I’ll be meeting in the coming weeks) who also decided to have a gastrectomy because she knew that stomach cancer was imminent (due to genetic markers) and she claims that the surgery saved her life (in addition to many other of members of her family). I think she will be a huge resource should I ever decide to go that route in the future. As a result, I’m starting to feel that although having a future Gastrectomy would be life altering, it wouldn’t be the end of the world. Everyone has their expiry dates. If my eventual fate was to be hit by a bus and killed in a months time, I’d have no idea … And would go on living as if I had years to accomplish what I want to accomplish in life, only to be cut short of those accomplishments. Now I get to live as though I don’t have all the time in the world, it will motivate me to be healthier, appreciate life more and make the best of it. Have you, or someone close to you, had a gastrectomy, been affected by stomach/colorectal cancer, or are a cancer survivor? If so, care to share any advice? Thanks for reading. As you may or may not have noticed, I recently took a short hiatus from blogging. I have a feeling that for the time being I might continue with this break or at least not blog as actively … although there is potential for some guest posts to pop up from time to time. Also, positive thoughts are appreciated for our family at this time. I know that it’s Easter weekend and the typical thing to post about would be Easter-related. We’re not exactly holding the traditional Easter weekend this year. So, I thought I’d do a post on a recipe that I tried out last week. Remember how I had said in my Mango Avocado Salsa post that my Quack had recommended that I eat more avocados? Not long after I did that post, I found an article in my Living Without magazine all on Avocados. If you are a subscriber to the magazine, you can get the full Avocados article when you log in here. If you’re not a subscriber, and are interested in the article, you can buy that particular issue (February/March 2013) here under Recent Living Without Back Issues. So far I’ve only tried the Avocado Chocolate Pudding, but I intend to try most, if not all, of these recipes. I don’t have a food processor so I used my blender, so the pudding came out with some small avocado chunks in it. I think it’s time that I finally invest in a food processor. Speaking of food processors, local blogger Colorful Canary just did a post on a BPA-free Glass Bowl Food Processor that looks economical. Because Living Without is a subscription based website, I didn’t want to reproduce the recipes here. I did notice that the Avocados article was written by another blogger, Colette Martin, of Learning to Eat Allergy Free. So I checked out her blog and she just happened to have the Chocolate Avocado Pudding recipe there. The only difference is on the blog the serving size is half of that in the Living Without article (Living Without version Serves 4) as well as the Living Without version also recommends to refrigerate for 2 hours before serving. 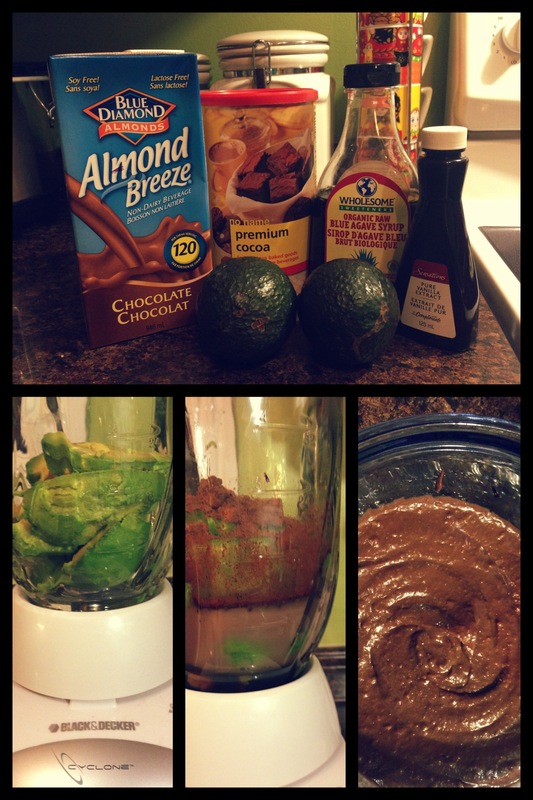 So I’ll direct you over to Colette’s blog to check out her Chocolate Avocado Pudding recipe. Having suffered through depression, I’ve been guilty of more than one of these Cognitive Distortions. One of the foods that my Quack suggested that I incorporate into my diet was avocados. “Great”, I thought sarcastically, “I don’t particularly enjoy guacamole”. So when I discovered this Mango Avocado Salsa recipe in Free For All Cooking (check out an overview of the cookbook in this post), I thought it was a great way to incorporate avocados because I hadn’t yet had a chance to do any searching for recipes using avocados, and I have loved mangoes ever since my first Mango Daiquiri at the Mexican resort that our good friends got married at, in back in 2011. Combine all ingredients in a large bowl and gently toss together to combine. Taste to determine if you like more spice. Serve with corn tortilla chips, Golden Potato Latkes, Fish Tacos, or over grilled white fish like tilapia, orange roughy, or flounder. I didn’t have Tabasco on hand so I decided to throw on a dash of Tex-Mex spice and topped it with a dab of sour cream. It was delicious and a great option for anyone with an tomato allergy/intolerance who miss the ability to enjoy salsa (I’d caution to check any spice mixes that you might use to ensure that they are free of tomato). 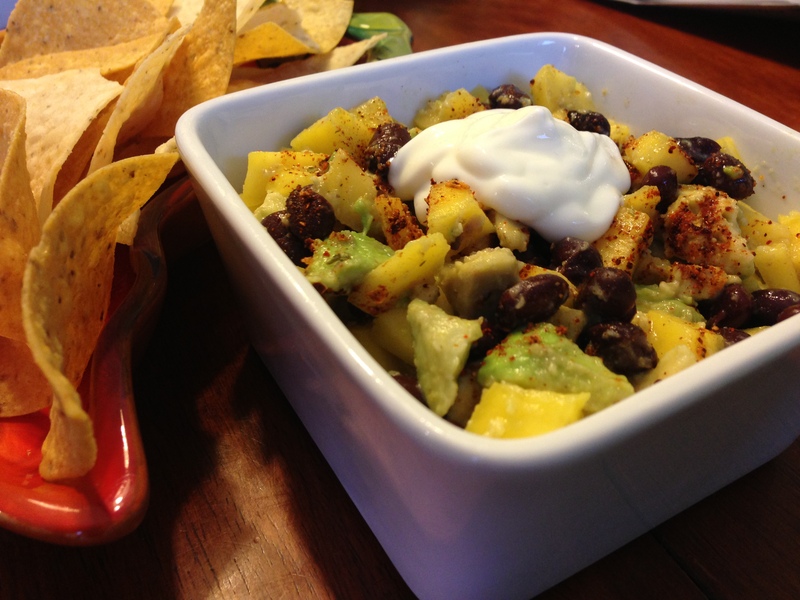 What types of recipes do you like for incorporating avocados? I work at an 8 AM to 5 PM job for an oil & gas company … but often it’s closer to 6 PM before I clue up for the day and make my way home. By the time I get home and play with my pup, who’s been home alone all day while we’re at work, I’m in no mood to to make a healthy meal that’s going to take the entire evening to prepare. And I wished that I could speed myself up like Loonette does while doing her 10-Second Tidy. 1. Prepare chicken or salmon in advance. We usually cook 1 to 2 packs of chicken and sometimes a pack of salmon on Sundays and keep it in the fridge all week to assemble meals to take to work, or to quickly prepare a meal once we get home. We typically just drizzle on some olive oil and some spices and bake in the oven. The spices that we’ve been using are the Clubhouse mixes like Vegetable and Lemon & Herb. I know that these have additives, sulphites, etc. so once these are gone I’m going to switch to a natural spice mix. We use the salmon as a meal in itself, but we use the chicken as a main, in salads, wraps, tacos, various recipes, etc. 2. 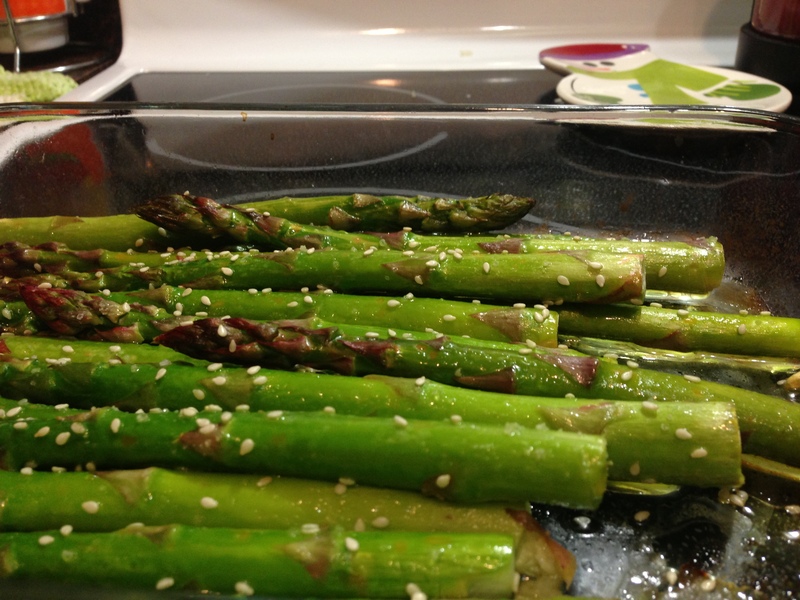 Roast asparagus in the oven. Place asparagus in a glass baking dish, drizzle with olive oil, sprinkle a little salt and squeeze juice of 1/2 a lemon over top. Bake at 425°F for 10 minutes. Sprinkle with sesame seeds. Easy Peasy! 3. 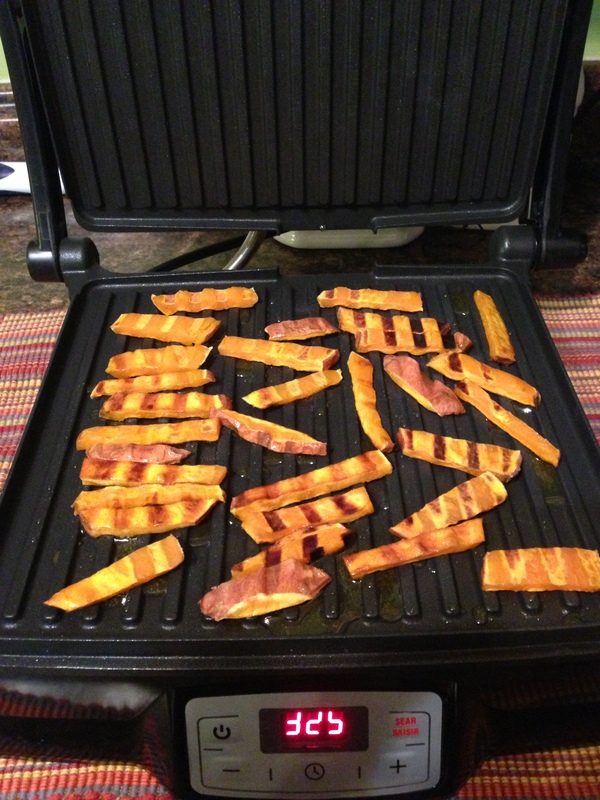 Panini-press grilled sweet potato fries. 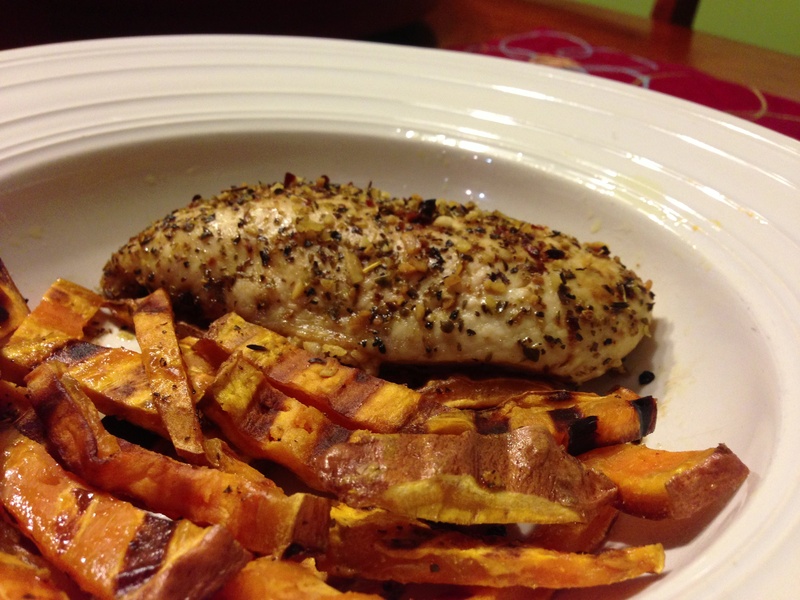 Chop up a sweet potato, drizzle some olive oil and your favourite spice and grill on your panini-press for 15 minutes. This method is super quick if you have your fries cut up the night before, but they will turn out a little soft (which I don’t really mind). However, I did find this recipe which has a tip for avoiding soggy fries. If I were to use their tip, I’d have my fries cut in advance, so that all I would need to do is place them in the water to soak for 30 minutes as soon as I get home so that they soak while I’m playing with our pup, Jax. 4. Keep salad ingredients on hand. I often make salads for lunch. I have my usual salad and my ‘I feel like a break’ salad. My usual contains spinach, dried cranberries (Ocean Spray has a gluten-free and tree nut free statement on its package), sliced almonds (be careful of may contain ingredients), diced cheese (if I have it on hand), sliced chicken (from 1. above) and my salad dressing is usually just olive oil, balsamic oil and honey. I don’t measure out the dressing ingredients. I usually just eyeball it as I’m pouring it into a small container. It’s roughly 1 part honey, 2 parts balsamic vinegar, and 3 parts olive oil. The other salad that I make when I want a break from the usual, contains spinach, mandarin orange segments, sliced almonds and sliced chicken. The dressing is similarly eyeballed. Its roughly 1 part sesame oil, 1 part soya sauce (I use VH soya sauce and got confirmation that it’s gluten free), 2 parts juice from the can of mandarin oranges, and 2 parts olive oil. I discovered this blogger, Stephanie O’Dea, who does slow cooker recipes that are gluten-free, due to her daughter’s Celiac Disease. 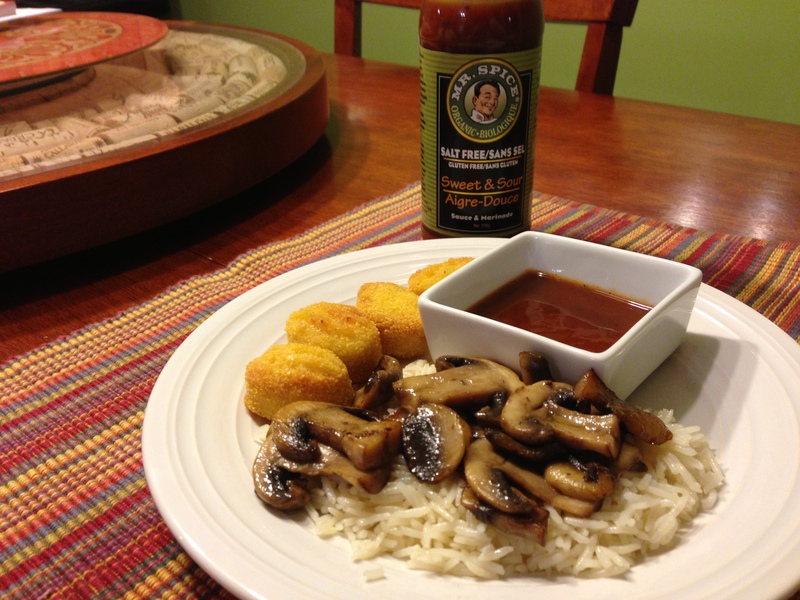 We use her Honey Garlic Chicken recipe on a regular basis. It is delicious! I like the fact that by using the recipe for left overs for the week that we can skim off the excess fat from the chicken thighs after it has congealed in the refrigerator. It all settles to the top so it’s very easy to skim off and dispose of. 6. Keep gluten-free pizza crusts on hand. I like to make quick BBQ chicken using Kinnikinnick GF crusts, leftover chicken (from 1. above), BBQ sauce and cheese (if I have some on hand). In just over 20 minutes the pizza is ready. 7. 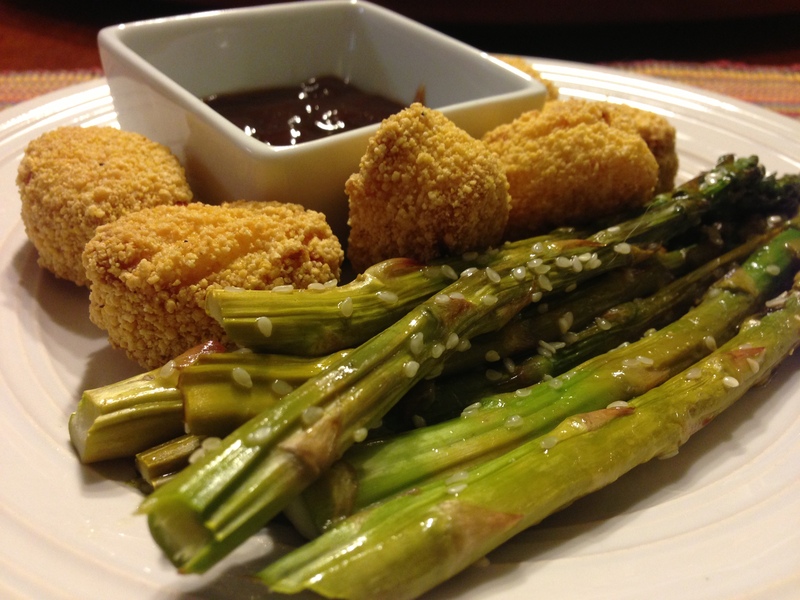 Keep Ian’s Gluten-Free chicken nuggets on hand. The package says to bake in the oven for 13 minutes but I like to bake them for just over 20 minutes to make the batter slightly crunchy. 8. Keep cooked rice on hand (either packaged or prepared yourself and stored in the fridge). You can use it as a quick and easy side or as filler in a wrap. 9. Keep chopped veggies in the fridge. Our usuals are peppers, mushrooms and onions.Use them to make a quick omelette, or fry up some peppers, onions and mushrooms with a little bit of seasoning for use in wraps, tacos, on paninnis, or simply as a side dish. Your kitchen will smell delicious as it fries. These are just some of the ways that are able to eat in a short amount of time once we return home from work. How about you? Do you have any 10-Second Tidy meals that you’d like to share? 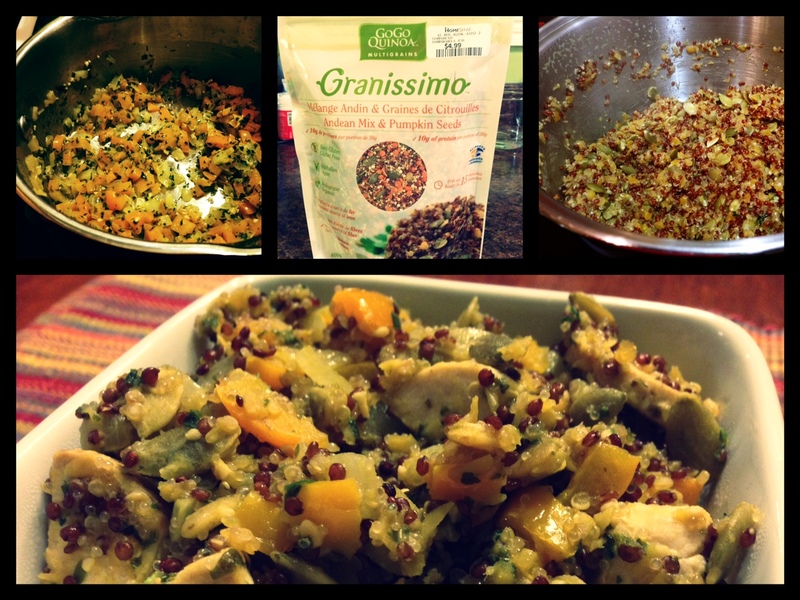 I figured I’d give it a try considering how I LOVE their Granissimo mix which I use regularly to make Go Go Quinoa Salad. 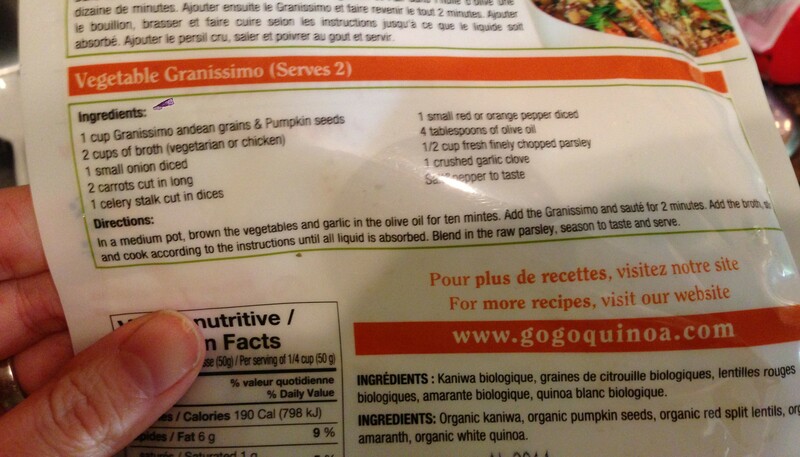 Like with the Granissimo mix, I decided to go with the recipe on the back of the package. I unfortunately didn’t have carrots in my fridge at the time or celery, although I did have some celery salt so I decided to go ahead with what I had. Although it looked like it was going to taste great, the result was just ‘meh’. I thought that “salt and pepper to taste” was a bit of an understatement, but to their credit my attempt at the recipe was lacking the carrot and the celery. Perhaps these two components would round out the recipe by adding a sweet and savoury note. I had kinda given up on the mix and it laid dormant in my pantry until I discovered their Granissimo Andean Mix Salad recipe while searching for recipes on their website to use with their Anelli Vegetable Pasta (which I later used to make Gluten-Free Spaghettios). In a medium pot, cook 1 cup of Granissimo in 2 cups of water until almost all the liquid is absorbed. Set aside, add the olive oil and let cool until room temperature. Add all the rest of the ingredients and mix. Refrigerate until time to serve. I didn’t wait for the salad to cool in the refrigerator. I ate it while it was still warm and it was delicious. I placed the remainder in the fridge so that I could bring it to work the next day, and about an hour later friends showed up with my guy and they asked what smelled so delicious. I grabbed a bowl and took out a small serving from the fridge for him to try. He had a funny look on his face and said “This would probably taste a lot better if it were warm”. 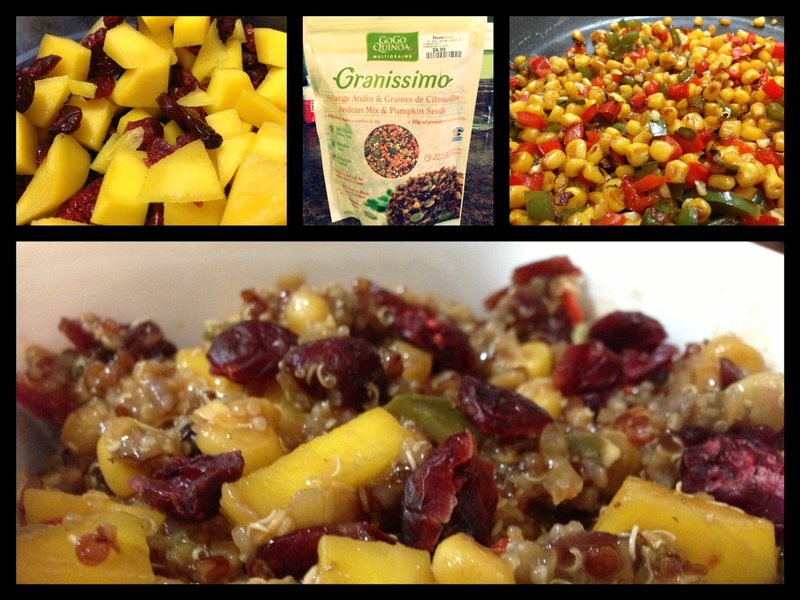 I had said that I had only made the recipe that night for the first time and had tried it warm, but I had assumed that it was fine to serve it chilled as the Go Go Quinoa Salad is great either warm or chilled. I tried the chilled version of the salad the next day, and I have to agree with my friend that it is, in fact, best if served warm. 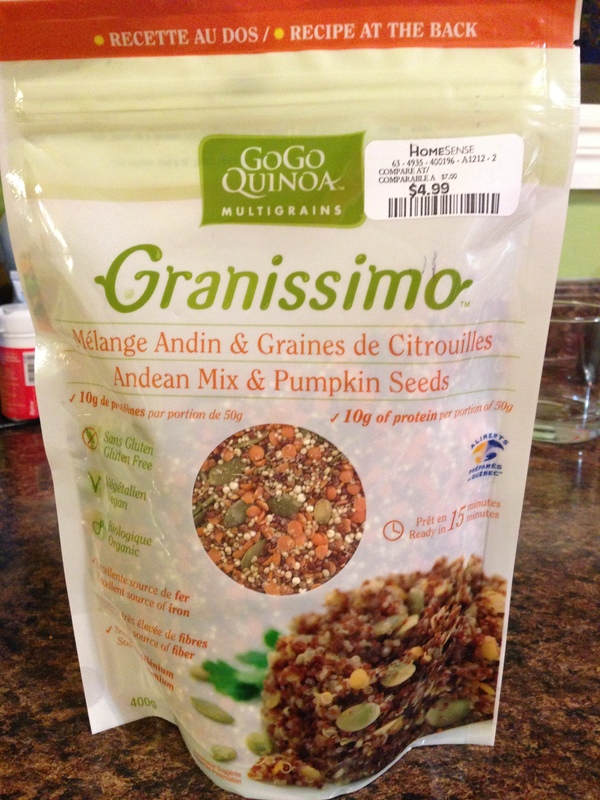 Have you tried this Andean & Pumpkin Mix? If so, What’s your favourite recipe? This past Sunday I realized that I had all the ingredients I needed to try out a new recipe that I had flagged. 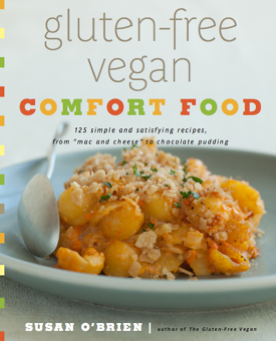 The recipe is the second that I’ve attempted from the Gluten-Free Vegan Comfort Food recipe book that I first introduced in my peach & blueberry smoothie post. I had planned on using it to attempt recipes for my friend who blogs at Am I Vegan Now? before she decided to move to the opposite side of the country. (Sharon, if you’re reading this: I totally would have surprised you with these had we been living in the same city. If you try these, think “Supreeze!” as you imagine me gifting them to you). 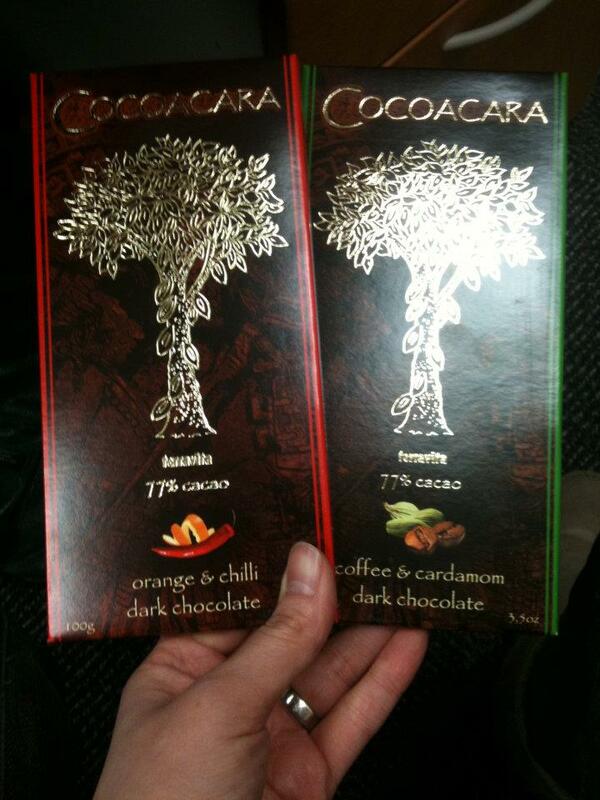 I had discovered these bars at a specialty food store several years back. Apparently they would only stock the bars around the holidays because they claimed that it wasn’t worth the cost of importing the bars (from Poland) regularly throughout the year. Considering this, whenever my guy would ask what I wanted for Christmas, I would respond saying that all I wanted was a box of these bars to keep me going all year long. 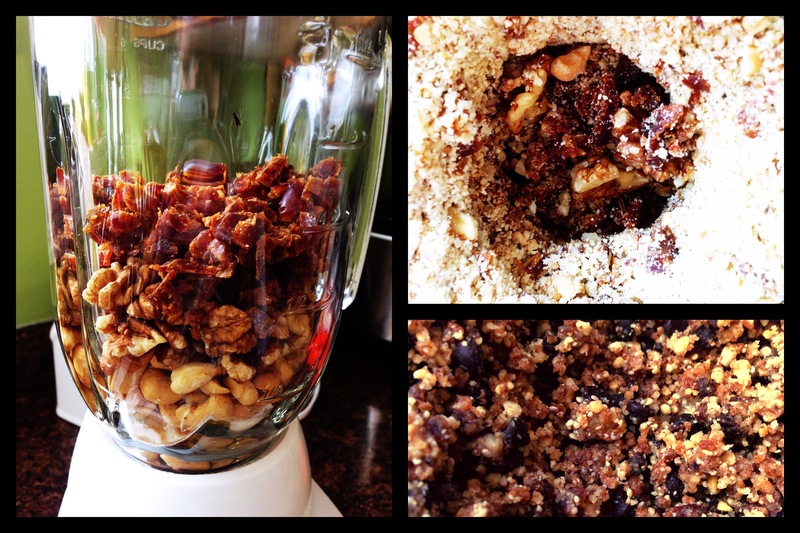 Place nuts and dates in a food processor and pulse until ground. Add the rest if the ingredients and whirl until the mixture begins to form a ball. (I don’t have a food processor, so I used my blender. I threw in all the ingredients as it directed but I started to get a perimeter of nicely chopped nuts and dates, but would jam up under the blade preventing the remainder from chopping. As a result, I had to take the blender jar off several times in order to shake and stir-up the contents. When I do this recipe again, I’d use smaller amounts in the blender and then transfer it to another bowl in order to chop the rest. I also think that the intent was for the chocolate chips to be grounded into more of a powder so that I would more easily disperse … but because there was so much volume to the recipe, very few of the chocolate chips would hit the blade. At first I thought that this was a downfall of how I had executed the recipe, but after the fact I realized that I quite like having the full chocolate chips intact. I thought I would point this fact out for anyone who might want to try out this recipe). Remove the mixture from the food processor and put in a large bowl. Spread some waxed paper on a cookie sheet and with clean hands, form small balls (about tablespoon-size) and place them on the cookie sheet. Place in the refrigerator for about an hour to harden. 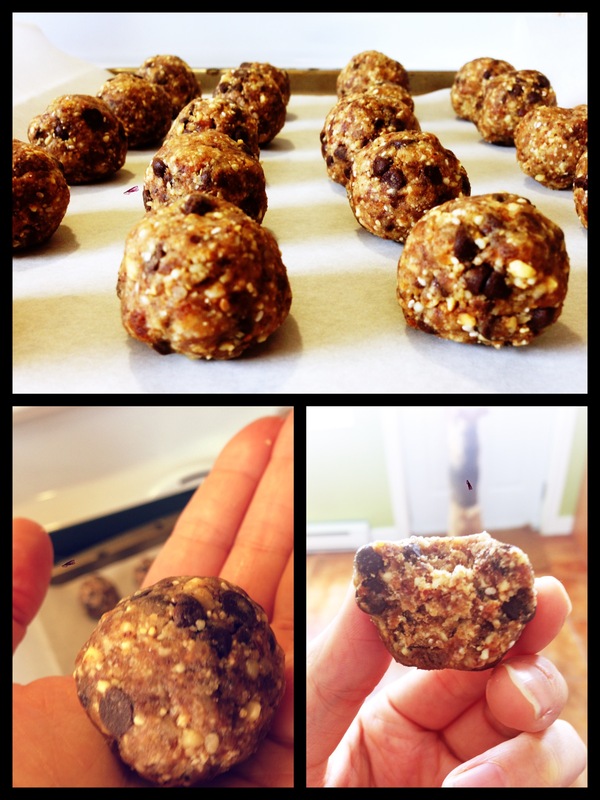 Let me know what you think if you try out this recipe! You may have seen my post for Bell’s Let’s Talk Day where I shared my story on how I’ve struggled with and am overcoming my clinical depression. If not, I invite you to read it, or learn about what Bell Let’s Talk Day is all about by visiting the official website: http://letstalk.bell.ca. 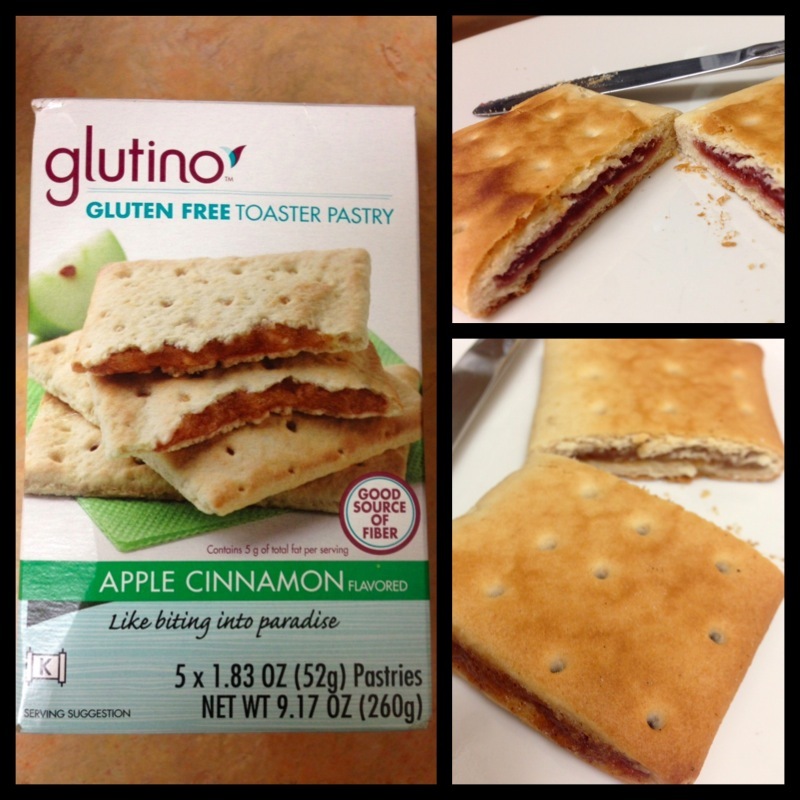 Glutino Gluten-Free Toaster Pastry … A Surprise From My GFF! Now, it’s been likely 15, if not 20 years since I ate my last Pop Tart. I went through a spurt of eating them when I was a kid but I found (for me, personally) that the texture was a bit too dry, and the ones that were coated in icing were too sweet while the plain ones seemed like they were missing something. I later started eating Toaster Strudels, and fancied those more because the pastry was slightly more moist, the filling was a little more gooey, and it came with a pack of soft icing that I could apply to my individual liking. Like I said, it’s been at least 15 years since I had either of these … so my memory isn’t quite as reliable for comparing to the non-gluten-free versions of the Pop-Tart and Toaster Strudel … but the Glutino version reminded me somewhat of a cross between the two (minus the packet of icing). This quick breakfast option isn’t available in Newfoundland yet (and perhaps even Canada), but hopefully they start popping up on shelves soon as it’s a quick and easy breakfast option when you’re too busy to prepare breakfast ahead of time, and unlike the majority of the population where you can’t just pop out to the nearest coffee shop to get a quick snack. Have you had a chance to try these breakfast toaster pastries out? What did you think? What’s your favourite flavour?